In this article, we do an in-depth comparison of the legendary Cummins, Power Stroke and Duramax engines, showing how they have been designed, what their strengths and weaknesses are, and how they have been developed over the years. Come find out which one is the best and more powerful! Not so long ago, diesel engines were considered totally unsuitable for cars and pickup trucks. With their tractor-like sounds, heavy vibrations, and noxious black exhaust smoke, they were simply not refined enough. Today’s modern diesel engines are a whole different story. These machines have numerous strong points, with low fuel consumption being just one of them. The application of variable turbochargers and sophisticated fuel injection systems have enabled a wide torque range and faster throttle response, while offering a considerable engine noise and vibration reduction. And in the end, various exhaust treatment systems have eliminated unpleasant smells and black smoke from the tailpipe. As a result, diesel powered vehicles pull strongly from low revs, and exhibit a smooth and civilized engine character. All of this makes them ideal for pulling heavy loads or towing a trailer. 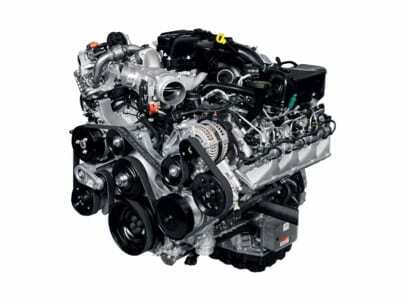 It is no surprise to find that diesel engines are a desirable and popular option in modern pickup trucks. Still, these engines are not without issues. Although sophisticated fuel and induction systems have improved the overall driving experience, these engines are also less robust, and can be more prone to breakdowns if neglected. High-quality fuel and regular maintenance have become mandatory, as even a small amount of bad fuel can cause irreversible damage to the common rail system. Additionally, the best quality oil is a necessity, as oil vapor and carbon build-ups can jam variable-geometry turbochargers. If not driven carefully, massive amounts of torque can put an excessive strain to the transmission and drivetrain. This is especially evident in cars with manual transmissions, where flywheels and clutches can fail. Yet the biggest problem facing diesel engines is the high amount of harmful pollutants in diesel exhaust gases. This need for improved emissions controls has driven diesel engine development over the past ten years. Every few years, new government regulations demand further reductions of harmful emissions. This forces vehicle manufacturers to install more and more complex devices and systems to meet those regulations. There are several ways to reduce diesel emissions. Diesel Particle Filters (DPF) are used to eliminate soot, but they don’t do anything about nitrogen oxide emissions. This is where either Selective Catalytic Reduction (SCR) or Exhaust Gas Recirculation (EGR) come into play. General Motors, Ford and Chrysler have diesel engines that they install in their cars, SUVs and trucks. Not only do these state-of-the-art machines have similar engine displacements and power outputs, but they also utilize similar turbochargers, fuel injection, and emission control systems. But don’t think that there aren’t any noticeable differences between the three of them! Conclusion: Cummins vs Power Stroke vs Duramax – which is better? Of these three engine brands, Cummins is by far the oldest. Although generally associated with Ram pickup trucks, this engine is actually designed and manufactured by Cummins Inc., a specialized diesel power-plant manufacturer located in Columbus, Indiana. The current engine is the latest of the B-series engine family, and was introduced in mid-2007. This is a 6.7L straight six unit, with a conventional gray cast iron engine block. Unlike other modern engines, the 4-valve-per-cylinder head is also made from cast iron. The OHV valvetrain is gear driven, so there is no need for timing chains or belts. A relatively low compression ratio enables the usage of a large Holset turbocharger, capable of producing 33 psi of boost. A Bosch common rail system ensures noise reduction and smooth operation. Until 2013, the emission control system utilized DPF and EGR, making DEF fluid unnecessary. In 2013 an SCR system was also added. With a weight of around 1,100 lb, the Cummins is a bit on the heavy side. It is available either with a Chrysler-built six-speed 68RFE automatic transmission, or with a Mercedes G56 6-speed manual. During 2019, a revised ITB 6.7L engine is available in several heavy duty versions of the Ram. This high-output version has engine block made out of compacted graphite iron, which increases strength without adding weight, forged steel connecting rods and a revised cylinder head. Combined with all new Bosch CP4.2 common rail injection and a modified turbocharger, this new engine is the first of its kind to reach the 1,000 lb.-ft. milestone. You can find these engines in various versions of the Ram truck. Clogged Diesel Particulate Filter (DPF) is a very common problem on earlier 6.7L engines. This is due to the fact that because they do not use an SCR system, these engines tend to operate with a rich air-fuel mixture. This is done to keep the NOx down, but it also generates significantly more particulates and loads-up the DPF much quicker. Variable Geometry Turbocharger (VTG) is a fairly common failure point. As the 6.7L engine was the first Cummins unit that uses variable geometry turbocharger, it is not unusual to have some initial problems. These units have a series of mechanisms that alter the turbine housing geometry. Problems occur when the moving components in the turbine housing become coated with soot and oil; the excessive buildup can prevent the movement of the VGT mechanism. This generally leads to excessive turbo lag or poor top end engine power. The turbocharger unit also tends to fail from various other causes, ranging from leaking oil seals to broken turbine or compressor wheels. Head gasket failures: Unlike its predecessor 5.9L engines, the new 6.7L engine is known to have problems with failing head gaskets. This is caused by higher cylinder pressures, which are required for achieving such a high torque output from a relatively small engine. Fuel dilution: The root cause for excessive fuel dilution is a result of the method by which the engine manages regeneration. This is the process which burns and removes the particulate matter captured in the DPF. In the 6.7L Cummins engine, raw fuel is released into each cylinder during the exhaust stroke, after normal combustion has occurred. Because this fuel sticks to the cylinders, small amounts eventually escape past the cylinder rings and enter the crankcase, contaminating the engine oil. Although the Cummins automotive diesel engine lineup goes way back to the beginning of the 20th century, we will focus on the units that were installed in the Ram trucks (known as Dodge Ram until 2010). The 6BT 5.9L 12V engine was first installed in a Dodge Ram truck in 1989, as an alternative to V8 gasoline engines. This engine generated much more low-down torque with a significantly increased fuel economy, and it quickly became a very popular option. Over the years, this engine received many updates to the fuel injection and turbocharging systems. This all-cast iron engine had a 2-valve-per-cylinder head and was turbocharged. While the first models had mechanical direct fuel injection and were not equipped with an intercooler, this was gradually changed. An intercooler was introduced in 1991 to help boost the power, and in 1994 a new P7100 Bosch injection pump replaced the outdated system. The IBS 5.9L 24V replaced the well-proven 6BT engine in 1998, and was designed to meet updated emissions requirements. It featured many improvements, including an all-new 4-valve-per-cylinder head, and a VP44 Bosch electronic fuel injection system. This resulted in increased power output and performance potential without compromising reliability and durability. Another major update was done in 2003, when the common-rail injection system was introduced. This not only increased power output, but it also dramatically reduced engine noise and vibration, all of which helped it to be selected as one of Ward’s “10 Best Engines” for that year. It is worth noting that this engine was able to meet emission regulations without using either DPF or EGR. The current 6.7L Power Stroke diesel engine that comes in Ford Super-Duty trucks series is completely built by Ford in-house. 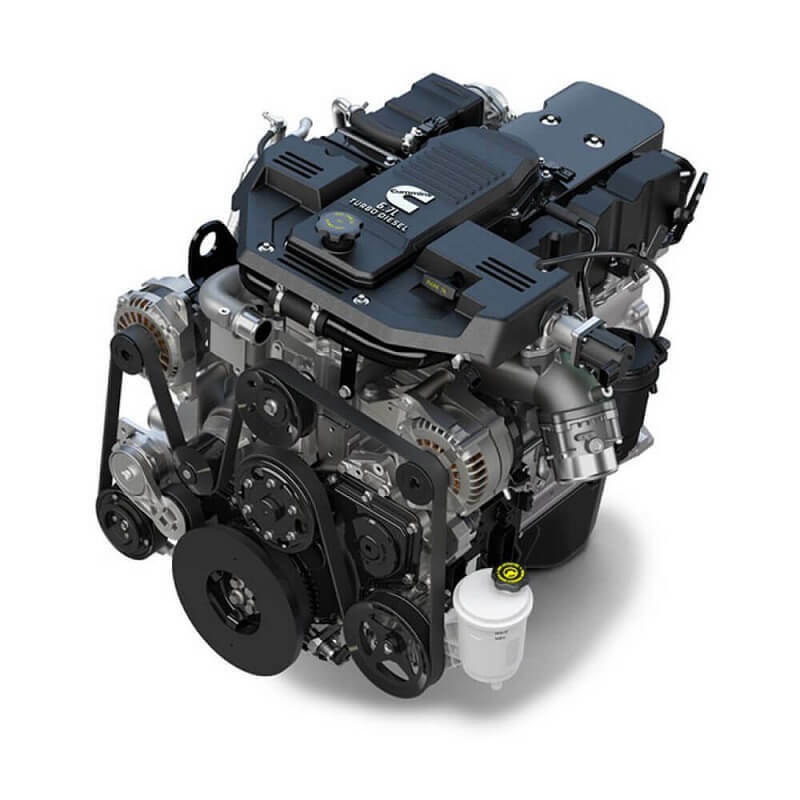 Nicknamed the Scorpion, this is Ford’s first venture into the heavy-duty diesel power-plant waters; all previous Power Stroke units had been produced by Navistar. With that in mind, it is only natural that potential buyers were concerned about the reliability of this newly designed powerplant. Luckily, Ford got everything right with the 6.7L. It offers great performance, fuel economy, and reliability. Maintenance-free timing is done by a chain-driven OHV setup that operates a 4-valve-per-cylinder valvetrain. The engine is quite light. Its block is made from compacted graphite iron, mated to aluminum heads, while the V-8 engine layout ensures compactness. Power Stroke engines have a unique exhaust and intake setup. Unlike a traditional V-engine, the intake manifolds are located on the outer deck of the cylinder head and the exhaust manifolds exit directly into the engine valley where the turbocharger is mounted. This exhaust flow design increased thermal efficiency of the turbocharger. Another useful feature is a driver-activated engine-exhaust brake, which restricts the exhaust flow. This generates back pressure and slows the vehicle. On the emission control front, this engine utilizes almost every technology available. In addition to a standard DOC, EGR and DPF setup, it also uses SCR to additionally lower NOx content. These engines come equipped with a 6R140 6-speed automatic transmission, called TorqShift by Ford. Over time, it has proven to be one of the best factory-installed transmissions on the market. 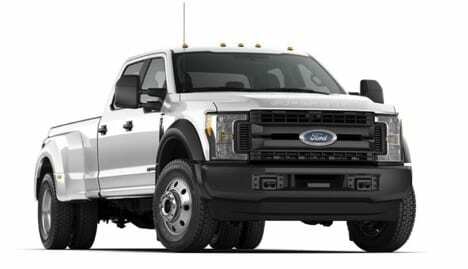 These engines are available in 2011 to current Ford Super Duty Series (F-250/F-350/F-450), as well as in 2015 to current Ford F-650/F-750 medium duty trucks. Most problems with the 6.7L Power Stroke are isolated incidents. Failures or faults have been experienced by a low percentage of owners, particularly on early engines. While some issues are expected from a late model clean-diesel engine, especially one as advanced as the 6.7L Power Stroke, there have been very few major issues with Ford’s new diesel. Radiator failures and general coolant leaks: These are somewhat common on the early 2011 trucks. These trucks have two radiators, with the one closer to the engine developing a leak on the spot where the plastic tank is joined to the metal core. It is also possible to see coolant leaks around the turbocharger area, with coolant inlet fittings being the usual cause. Turbo failure: This is one of the most common issues on these engines. The turbocharger on these engines is a fairly complicated unit, and many early 2011-2012 models suffer from various turbo-related problems. The ceramic bearings are the most common failure point. EGR System Issues: These occurrences are far less common, when compared to the earlier 6.0 and 6.4 Power Stroke engines. But the problem with the EGR cooler getting clogged by soot still persists. The result is an obstructed exhaust flow and a ‘check engine’ light. SCR system: This is a relatively simple device, but it has several weak points. A tank heater element can burn out, or the injector and connecting tubing can clog up. As this system works only at high exhaust temperatures, the urea solution can crystallize if you have frequent short journeys. Additionally, the NOx sensor can break or give false readings. Glow Plug Failure: This is potentially the most dangerous weak point on the 2011 trucks. The problem lies within the glow plugs, which can break off. In most cases, this causes catastrophic engine damage. Newer trucks have updated glow plugs, and do not suffer this issue. Fuel System Failure: This can be caused by internal deterioration of the high-pressure fuel pump. When this happens, debris is spread throughout the entire fuel system, requiring a new pump, injectors, and pressure regulators. To prevent this, be extremely careful about the fuel you use, and change the fuel filters regularly. NOx sensor: This was a extremely common failure on 2011 trucks. A faulty NOx sensor can, in some cases, cause engine power reduction. Most of these sensors were replaced during their early years of service. 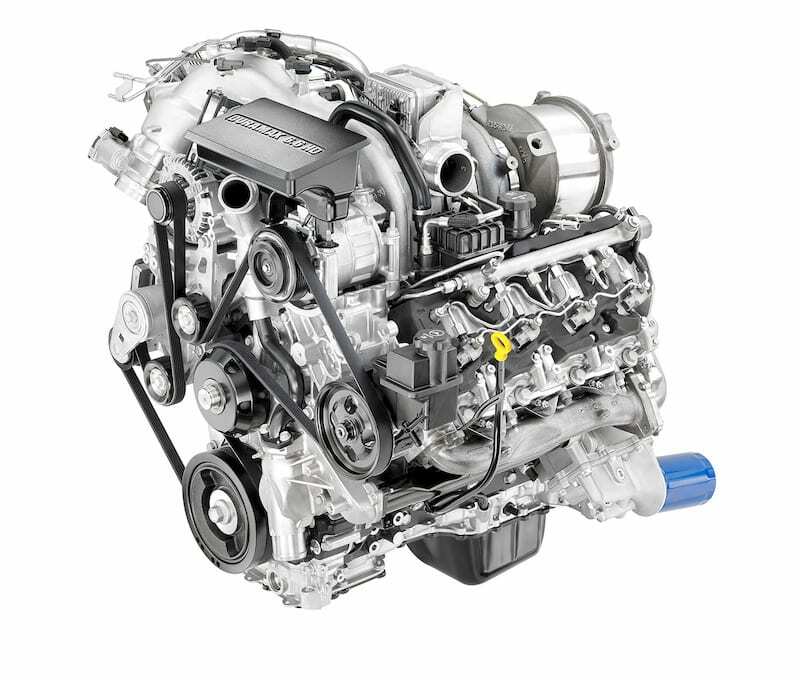 The Duramax, GM’s entry in the growing heavy-duty diesel engine segment, entered the stage quite late, compared to Ford and Ram. But even its first version, released in 2001, featured advanced solutions, like common rail fuel injection and aluminum heads. Although it was speculated that the L5P would be developed from scratch, the general layout was left unchanged, keeping both the displacement and the V8 arrangement. To keep up with the competition, this engine uses a cast iron block with hardened cylinder walls, mated to aluminum 4-valves-per-cylinder heads. Much like its Ford counterpart, it uses a chain driven OHV setup, with pushrods and a camshaft in the block. An electronically-controlled variable-geometry turbocharger, in combination with a high-efficiency air-to-air intercooler, increases the torque throughout the RPM range. The newest generation Denso common rail fuel injection, capable of achieving fuel pressures up to 29,000 psi, brings down the fuel consumption and noticeably reduces engine noise. Starting the Duramax in extreme cold is much easier with its all-new ceramic glow plugs, designed to reduce preheat times. Exhaust treatments include EGR, DPF and SCR, to ensure that the strict emission regulations are met. This engine is only available with a well proven Allison 1000 6-speed automatic transmission. You will find these engines in 2017 to current Chevrolet Silverado and GMC Sierra HD pickup trucks. Fuel starvation: This is usually caused by air in the fuel lines. The root of the problem is the fuel filter housing design and the absence of the fuel lift pump. Duramax engines use a high pressure fuel pump, which vacuums fuel from the tank. In many cases, air seeps in, either through a small crack on the fuel filter housing, or through a bad housing o-ring. It can also be relatively difficult to prime the fuel system once air has been introduced into the system, such as when the fuel filter is changed. Cooling issues: These are quite common on Duramax engines, with a faulty coolant pump being the main problem area. The problems seem to be caused by a poor factory design. As a preventive measure, the coolant pump is best replaced at 80,000 – 100,000 mile intervals. It is also possible to experience various other overheating problems, caused by either a dirty radiator or a faulty fan clutch. Injection system: This can be the source of several problems. In general, the Duramax fuel injectors are quite sensitive to contamination, and may fail prematurely if poor quality fuel is used. Proper maintenance and regular fuel filter changes are very important. Another possible weak point is an injector harness that chafes over time. When the wires become exposed, a number of issues can occur, including a no-start, rough running, and lack of power. The design of the positive crankcase ventilation (PCV) system: This has proved to be a bit troublesome, as it can vent the crankcase pressure into the intake. Over time, engine oil fumes build up within the intercooler and connecting tubing. This can result in clogging, as well as intercooler tubing deterioration. The SCR system: This is a relatively simple device, but it has several weak points. The in-tank heater element can burn out, or the injector and connecting tubing can clog up. As this system works only at high exhaust temperatures, the urea solution can crystallize after frequent short trips. The NOx sensor can also break or give false readings. Whatever its year or generation, every Duramax is a 6.6L V8 unit. Unlike Cummins or Ford, who altered key engine features such as displacement, cylinder head design or fuel injection throughout the years, GM has retained the same general layout from the beginning. The LB7 was the first Duramax engine, first introduced in year 2001. Not only was it the first engine to utilize Bosch common-rail injection, but it also had aluminum multi-valve cylinder heads. Additionally, it managed to be ahead of the emissions regulations of the time. Even better, it was very reliable and economical. It was no surprise, then, that the Duramax LB7 was among Ward’s “10 Best Engines” in both 2001 and 2002. The LLY replaced the very successful LB7 during 2004, with stricter emissions standards as the primary reason for its introduction. It featured an EGR system and a variable vane geometry (VVG) turbocharger, which provided noticeably improved performance characteristics, compared to a fixed geometry turbo. The LBZ replaced the LLY in year 2006, and is almost identical. The only notable change was an increased power output, achieved by more aggressive fuel injection tuning. This Duramax variant was used only for a short period time, and was replaced during model year 2007. The LMM was a further iteration of a LLY/LBZ platform, debuting during the 2007 model year. This model introduced a diesel particulate filter (DPF) system to meet Federal emissions regulations. Aside from the addition of the DPF, the LMM was nearly identical to the LBZ. The DPF resulted in a reduction of particulate emissions by 90 percent. The downside was noticeably higher fuel consumption, largely due to the periodic regeneration cycles needed to clean the particulate filter. By this point, a manual transmission was no longer available, with the Allison 1000 six-speed automatic being the only option. The LML Duramax was introduced in 2011, using 60% newly-designed components, compared to the previous generation Duramax. As with previous versions, it featured several emission control upgrades. The most important was the addition of an SCR system, or diesel exhaust fluid injection. This simple and well-proven system helped reduce nitrogen oxide emission levels by 63 percent over the LMM engine. Among other improvements was the introduction of the “9th injector” system, which supplied fuel for the DPF regeneration directly into exhaust system. All of these modifications resulted in not only reduced emissions, but also in increased fuel economy. As you can see, all three engines have roughly similar power outputs, despite various design and layout differences. What makes them very different is how all of this power and torque are delivered and used. With a slightly higher power output, Power Stroke and Duramax powered trucks predictably offer a noticeably better acceleration and somewhat better overall pace. Cummins, on the other hand, delivers more torque, especially in its high-output version. With 1,000 lb⋅ft, it is a true leader of the pack when it comes to towing. Being a straight-6 engine, it is less complex and in many cases easier to maintain. In other words, Chevy and Ford are faster diesel trucks than the equivalent Ram, but the Ram outruns them when it comes to towing. Let’s talk about about reliability and running costs. It is frequently argued that modern diesel engines are less reliable and have much higher running costs, compared to older versions. Undoubtedly, the added complexity of today’s fuel injection, turbocharging and exhaust treatment systems does increase this possibility. Still, the main reason for the poor reliability myth is due to the fact that these sophisticated engines are far less forgiving of neglect. As with all modern engines, the key to longevity is proper maintenance. Using high quality fuel, performing regular service, using the recommended oil and filters, and practicing good driving habits, will increase the lifespan of any engine.